April Fool’s Day is coming up this week, and so I thought I would use that as inspiration to be a bit goofy. It could be cabin fever – the delayed arrival of spring has made me a bit stir-crazy. I don’t know about you, but I just feel that a little bit of whimsy is the best way to weather the storm. 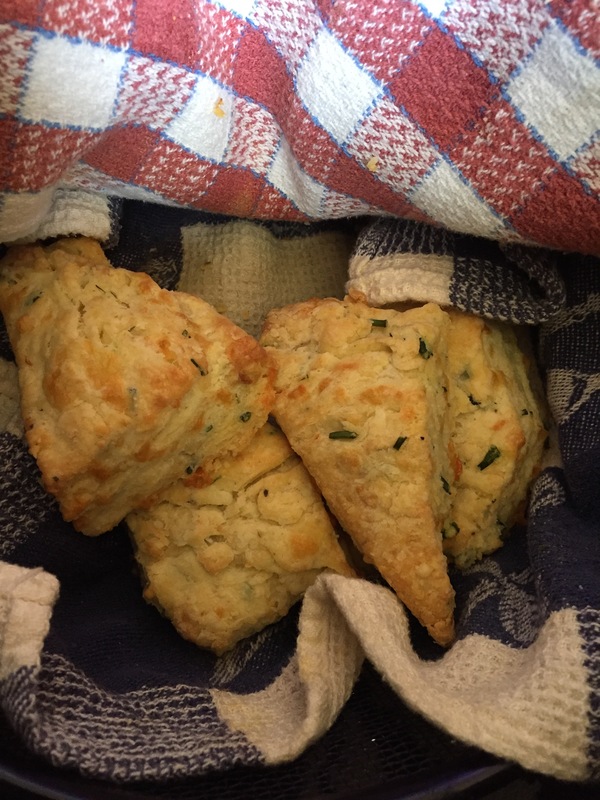 Hopefully you will forgive the lack of nutritional value in this week’s recipes and take pleasure in knowing this topic give you water cooler fodder for the week to come! Simple indulgence in Peeps is ample goofiness, and you needn’t feel guilty eating them. They are only 32 calories each, and there are 350 million of them made each year, so they are certainly not endangered. I suppose if you prefer natural foods, you could just stick to regular marshmallows. Did you know they have been around for 200 years and that originally the root of the marshmallow plant was what made them sticky and gooey? This plant was also used to soothe sore throats. I don’t know if you could attest to a marshmallow doing that but it arguably does make you feel better when you eat one. Whether you like them pre-stuck to Rice Krispies in a square or roasted over an open flame will not diminish the smile that seems to get stuck on your face after eating them. Beware anyone brandishing a roasted marshmallow – flaming and sticky is not a very safe combination in the air. If you do get melted (or manhandled) marshmallow stuck somewhere it shouldn’t be, remember to remove it as soon as possible or it will become like Super Glue. If you like your marshmallow inside something else, here’s a recipe that includes the other seasonal sweet – chocolate. Preheat oven to 350F. Grease a 9 x 13 inch baking pan. Heat chocolate and butter in a pan slowly while stirring, until melted. Stir in sugar until melted and well blended. Cool the mixture 10 to 15 minutes. Add eggs, orange zest and vanilla and stir until blended. Add flour, salt, and mix again. Add chocolate chunks and marshmallows, and pour into your pan. Bake for 30 to 35 minutes, until brownies spring back when touched in the centre of the pan. Let cool on a wire rack. Cut and serve at room temperature, dusted with icing sugar if you want to dress them up. Happy April Fools’ Day 🙂 And if you’re saving yourself, Happy Easter! Sticky candy, melting chocolate or popcorn kernels in your teeth? I love going to the movies. There is something about sitting in the dark with strangers all being immersed in the same experience. The big screen and surround sound are fun, but they are just part of the ambience. The last part is crucial – movie snacks. For me, popcorn at a movie is a required component. My hubbie is more of a chocolate and licorice kind of guy, munching only the occasional handful of popcorn. Despite our disparity on choice of snack, we have managed to attend movies happily together on enough Tuesdays to fill a large bucket. 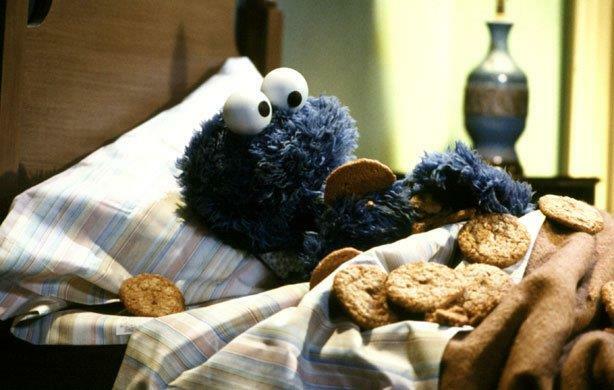 Regardless of the snack you choose, its enjoyment can provide the final step in immersing oneself in the movie. Munching M & M’s or gnawing on a bite of licorice can help manage the stress of a horror movie monster’s massacre; nibbling popcorn can aid in maintaining one’s heartbeat at a reasonable level during fast-paced action scenes. The smell of the treats, the movie soundtrack music that leads us in, the darkness that envelops us and the smoke and mirrors of a story on the screen all blend together to take you away from the regular world. I suppose I’m just getting sentimental as I age. Much about movies and the movie-going experience has changed in my lifetime. “Extreme” theatres and reclining seats, movies about video game characters – all things that didn’t exist twenty years ago when hubbie and I started our movie date night. Part of me likes that the popcorn kernels still stick in my teeth the same way they always have. I smile when I hear the outrageously loud sound of my hubbie opening his bag of licorice. Some things don’t need to change. It’s a sad night. We reached the bottom tonight. There is no more. 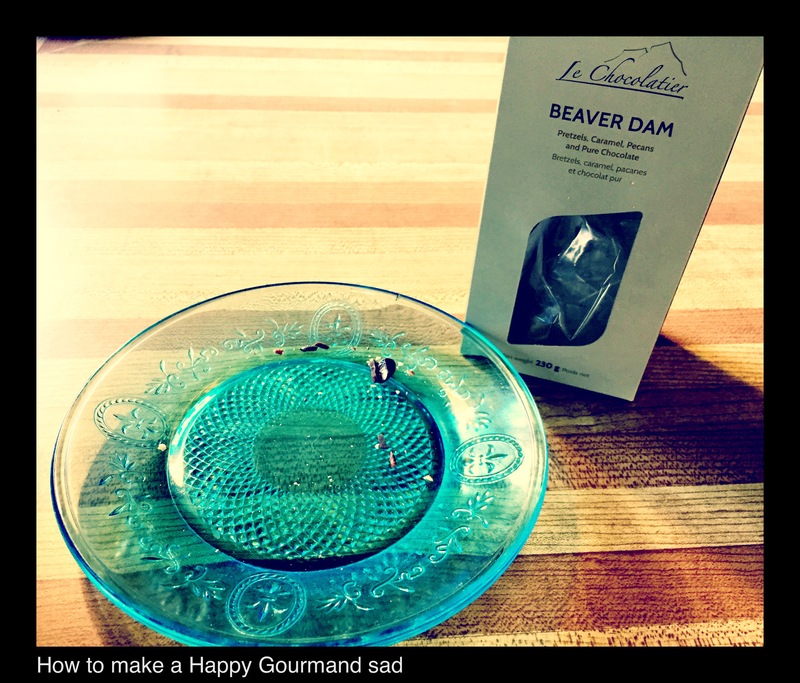 We ate the last of the wonderful Beaver Dam confections from Le Chocolatier. I did dloublecheck in the box, just to sure there were no more. I felt a bit like Winnie the Pooh with a pot of honey, and my hubbie looked at me with the same expression. We were sorry to be empty handed. I’m sorry if I misled you. Perhaps you thought I was talking of a more serious matter. Well, in our humble abode the end of a delectable delight is a tragic event. We really do revel in a nice treat and these little morsels are the perfect blend of comfort food and decandence. Chocolate, caramel, pecans, pretzels… it’s so easy to lose yourself in The rich creaminess and exciting crunchy goodness. Thankfully there are enough in a box to share, because my hubbie loves them too. One of the lovely bonuses to having such a good buddy with whom I’m in tune is that I don’t have to worry who eats the last one – we can share. The really sad part is that we have to go all the way to Canmore to get more. Since we don’t plan on heading that way in the near future, I may have to contact Chief Confectioner & Chocolate Dude John Spear to see if we can order more via post. Ah well, I’m off to bed now. Tomorrow will be another day. I’ll take Pooh’s attitude and look for the good in things.